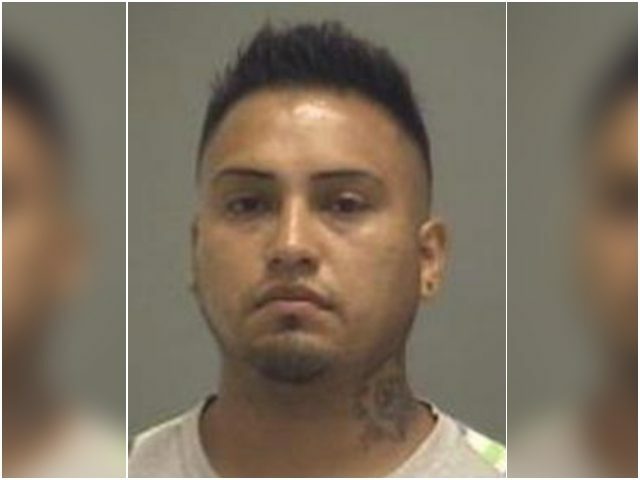 The family of a North Carolina man killed by an illegal alien from Mexico is encouraging officials to deport the offender after he completes his prison term. Neri Damian Cruz-Carmano pleaded guilty Friday to a charge of hit-and-run causing death in connection with the killing of Jamar Beach, 26, before a judge sentenced him to 20-33 months in prison with credit for time served. But Beach’s mother, Cameo Robinson, says Cruz-Carmano is getting off easy, and should be deported after he serves his sentence. Investigators say there was not enough information to charge Cruz-Carmano with other crimes— such as driving while impaired— even though prosecutors believe he committed additional crimes. Although Cruz-Carmano is in the U.S. illegally, current laws at the county level are preventing federal immigration authorities from taking him into custody and putting him into deportation proceedings. “Agency leadership has spoken repeatedly over the past few months about the public safety consequences of this policy to not honor any ICE detainer regardless of how serious an illegally present person’s criminal history may be,” the spokesperson added. It is standard practice for county jails to honor ICE detainer requests, but Wake County Sheriff Gerard Baker changed the county’s policy in December so jails would no longer have to honor those requests. Baker, who was elected sheriff in November, said he ran on a promise not to cooperate with ICE officials. “It only serves to further divide and intimidate the citizens of Wake County. It is a policy decision made by ICE to step up enforcement efforts in neighborhoods and at work sites,” Baker told WRAL in December. ICE officials blasted Baker’s decision, calling it an “open invitation” for illegal aliens to commit crimes and get away with them. “The Wake County sheriff’s decision to restrict cooperation with ICE serves as an open invitation to aliens who commit criminal offenses that Wake County is now a safe haven for persons seeking to evade federal authorities,” ICE Atlanta Field Office Director Sean Gallagher said at the time. “Residents should expect a more visible ICE presence in Raleigh-Durham, as ICE will now have no choice but to conduct more at-large arrests in local neighborhoods and at worksites, which will inevitably result in additional collateral arrests instead of arrests at the jail where enforcement is safer for everyone involved,” Gallagher added.